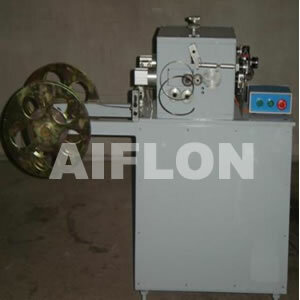 ﻿ Eyelets metal Tape shaper (Modern style) - China Eyelets metal Tape shaper (Modern style) Supplier,Factory - Cixi Aiflon Sealing Materials Co.,Ltd. Forming flat metal tape into U profile for eyelets of cutting gaskets,The speed can be adjusted. Change moulds, can form V profile for SWG, if need.